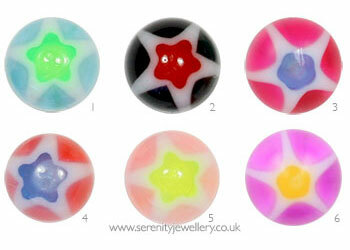 Hypoallergenic acrylic 3mm screw-on star balls. All but the Fuchsia/Blue colour balls contain tiny pieces of glitter. 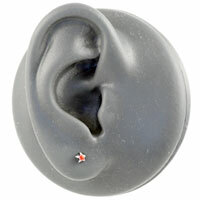 Love these, cute and add an extra edge when put on my current earrings. Love this, the only thing to make it better would be the option to have it 4mm as it was a bit of a fiddle screwing it on.